June 21, 2009, Cairo, Egypt – The American University in Cairo announced today the appointment of former US ambassador to Egypt Daniel C. Kurtzer as a member of its Board of Trustees. Kurtzer, the S. Daniel Abraham Professor of Middle East Policy Studies at Princeton University’s Woodrow Wilson School of Public and International Affairs, served as U.S. Ambassador to Egypt from 1997 to 2001. During 29 years of public service, Kurtzer held a number of senior policy and diplomatic positions. In addition to serving as U.S. ambassador in Egypt, Kurtzer also served as U.S. Ambassador to Israel, deputy assistant secretary of state for Near Eastern Affairs, and principal deputy assistant secretary of state for intelligence and research. Throughout his career, Kurtzer was intimately involved in Middle East peace negotiations and the formulation of US policy in the Middle East. Since leaving government service, Kurtzer has authored numerous articles on U.S policy in the Middle East. He served as an advisor to the Iraq Study Group and currently serves on the Advisory Council of the American Bar Association’s Middle East-North Africa Rule of Law Initiative. He is the co-author, with Scott Lasensky, of Negotiating Arab-Israeli Peace: American Leadership in the Middle East, published in 2008. He also serves on a number of business and public service boards. Ambassador Kurtzer received his B.A. from Yeshiva University and his M.A., Middle East Certificate, M.Phil. and Ph.D. from Columbia University. In recognition of his outstanding work in public service, Kurtzer received several of the U.S. government’s most prestigious awards, including the President’s Distinguished Service Award, the Department of State Distinguished Service Award, the National Intelligence Community’s Award for Achievement, and the Director General of the Foreign Service Award for Political Reporting. Distinguished for their professional accomplishments in the areas of business, law, education, philanthropy and scholarship, members of AUC’s Board of Trustees are all volunteers who dedicate their time and resources to supporting the university. 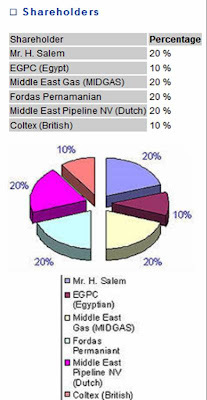 Primarily Egyptians, Saudi Arabians and Americans, the trustees do not receive a salary and provide their own financial support to the university. AUC’s trustees include Moataz Al-Alfi, chairman of the Americana Group; Dr. Mohamed ElBaradei, Nobel Prize winner and director general of the International Atomic Energy Agency; Mohamed Ibrahim, founder and chairman of Celtel International; and Dina Habib Powell, managing director and global head of corporate engagement at Goldman Sachs; and Dr. Ahmed Zewail, also a Nobel Prize winner and the Linus Pauling Chair Professor of Chemistry, professor of physics at the California Institute of Technology (Caltech) and the Director of the Physical Biology Center. Really now, AUC is becoming utterly shameless about its political role. While universities in the UK, Europe and even the US are moving towards divestment from and boycott of Iraeli institutions, AUC, formerly in the “heart of Cairo”, is increasingly moving towards normalization. Coupled with the complete cowing to Egyptian Security and the unapologetic disregard for the opinions of the AUC community, the administration’s policies are becoming quite frustrating to faculty, alumni and students alike. Egypt has deported Sudanese refugees who were returned from Israel on the understanding they would not be expelled to Sudan where they face torture or imprisonment, a security source said on Monday. Some of the refugees returned from Israel were expelled to Sudan,” the source told AFP, referring to 48 Sudanese refugees that Israel sent back to Egypt in August after they illegally entered the Jewish state. The United Nations refugee agency UNHCR in Cairo said they had been seeking information on the refugees’ fate “at the highest level of the foreign ministry” since they were expelled but had heard nothing. It is illegal under international law to deport a refugee to a country where they face torture or arbitrary detention. “The understanding was very clear that Egypt was going to look after these refugees and not send them back to Sudan and let the UNHCR look after them,” Shani Cooper-Zubida told AFP. “Egyptian authorities should firmly penalize any Sudanese refugees if they were found trying to infiltrate through Egypt into Israel,” the semi-official Sudanese Media Centre quoted Aghbash as saying in July. “Israel should stop summarily expelling Sudanese nationals who enter the country illegally from Egypt and reinstate its policy of allowing them to remain in Israel pending refugee status determination,” HRW said. Article in CounterPunch by a DePaul professor reflecting on Finkelstein’s settlement with the university. Another one thanks to the Arabist; this article, written in light of the recent reemergence of the Saudi peace plan, enumerates the many ways in which Israel’s existence and policies have had direct negative impacts on Arab development over the last 60 years.